Discussion in 'Muppet Headlines' started by Phillip, Sep 24, 2013. 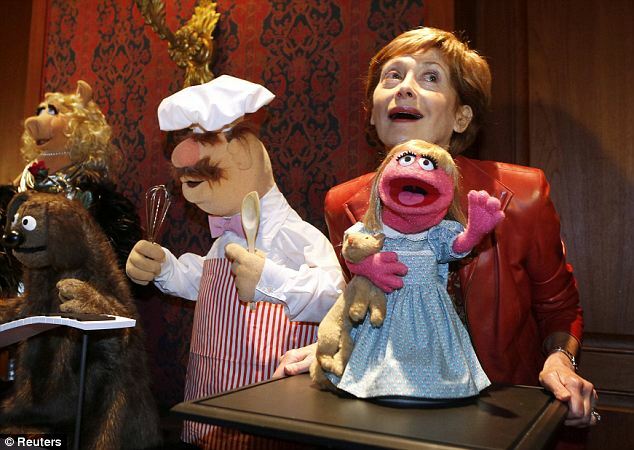 The National Museum of American History received a new donation of more than 20 Jim Henson puppets and props on the anniversary of his birthday—Sept. 24, 1936—from the Henson family. 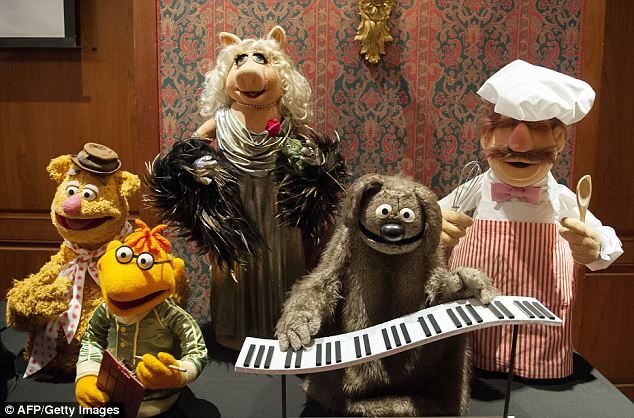 Miss Piggy and the Swedish Chef from The Muppet Show, Bert and Elmo from Sesame Street, and Red Fraggle and Traveling Matt from Fraggle Rock are among the new additions. 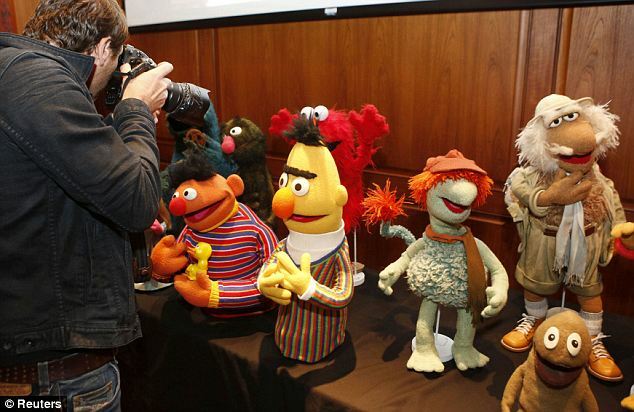 They will join the museum’s current Jim Henson Collection, which includes Oscar the Grouch, Kermit the Frog and the cast of Sam and Friends. 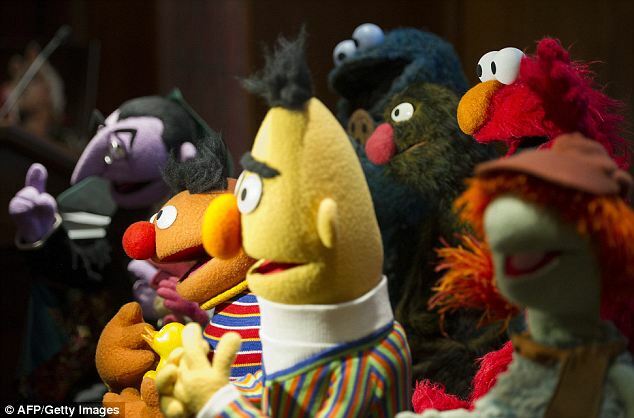 Many of the donated puppets are the first constructions of these characters and represent Henson’s work in early television commercials and shows that include The Muppet Show (1976-1981), Fraggle Rock (1983-87) and Sesame Street (1969–present). In addition, his collaborations with artist Brian Froud for the 1982 feature film The Dark Crystal, which brought to view Henson’s advances in animatronics, will be represented in the collection with a Skeksis figure and SkeksisChair. The puppets and props were designed and created at the Jim Henson Workshop in New York City, with the exception of the figures from The Dark Crystal, which were created at the Jim Henson Creature Workshop in London. Henson, one of the leading innovators of 20th-century entertainment, was an American puppeteer, screenwriter, film director and producer who brought the ancient art of puppetry into the modern age. He began his career in 1954, while still in high school, and continued until his untimely death in 1990. Henson’s legacy continues through The Jim Henson Foundation’s efforts to promote and develop the art of puppetry in the U.S., and through The Jim Henson Legacy—established by his late wife, Jane Henson, in 1992—which continues to preserve and present the artistic contributions of Henson and his work. 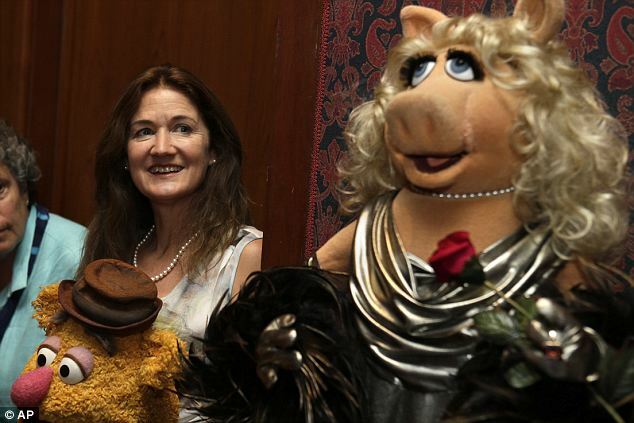 The museum will place Miss Piggy on view within the American Stories exhibition in March 2014. In addition, several of the puppets from the Jim Henson Collection—including the original Kermit, not yet a frog, and Cookie Monster—will go on view in November in a display case that will include marionettes, hand puppets and ventriloquist figures. This display will explore the role these iconic characters have played in American culture and the impact they have had on popular entertainment. Henson’s life and work will be explored by author Brian Jay Jones in the upcoming book, Jim Henson: The Biography, which will be officially released Sept. 24. Through its collections, research and public outreach, the National Museum of American History explores the infinite richness and complexity of American history. It helps people understand the past in order to make sense of the present and shape a more humane future. The museum is currently renovating its west exhibition wing, developing galleries on business, democracy and culture. For more information, visit americanhistory.si.edu. The museum is located at 14th Street and Constitution Avenue N.W., and is open daily from 10 a.m. to 5:30 p.m. (closed Dec. 25). Admission is free. For Smithsonian information, the public may call (202) 633-1000. 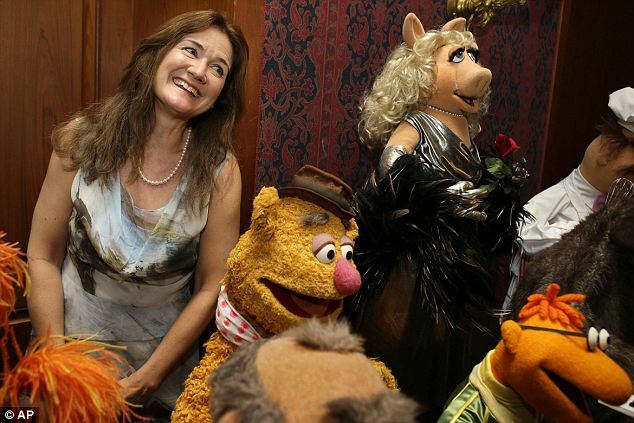 This video of the donation ceremony features Cheryl Henson, daughter of Jim and Jane Henson and president of The Jim Henson Foundation; Fran Brill, puppet performer; Craig Shemin, president, The Jim Henson Legacy; Bonnie Erickson, executive director, The Jim Henson Legacy; Sue Fruchter, deputy director, National Museum of American History; and Dwight Blocker Bowers, curator of entertainment collections at the National Museum of American History. ploobis, Weirdo96, cjd874 and 3 others like this. FrackleFan2012 and Muppet fan 123 like this. cjd874, FrackleFan2012, Muppet fan 123 and 1 other person like this. FrackleFan2012, Muppet fan 123 and Kermieuk like this. 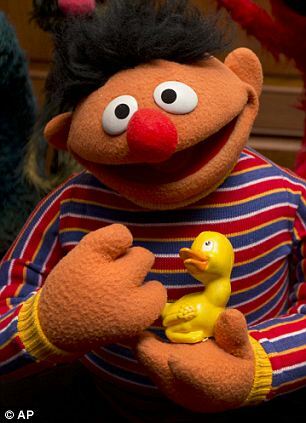 Yeeks, what's with that Elmo puppet? 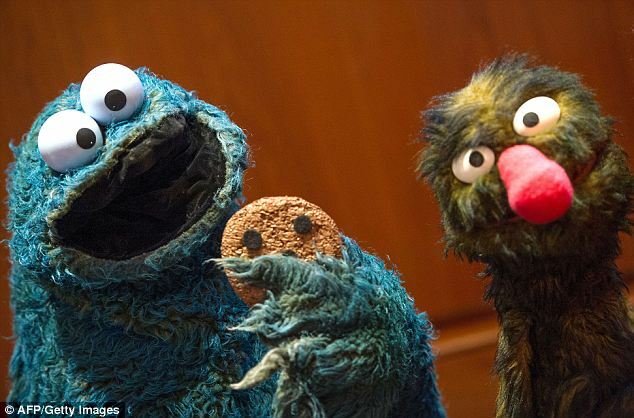 Wow, the original Green Grover's come down with a cause of jaundice. But man, if there was ever a time I really wanted to visit the Smithsonian, now's the time! MuppetSpot, cjd874 and CaseytheMuppet like this. 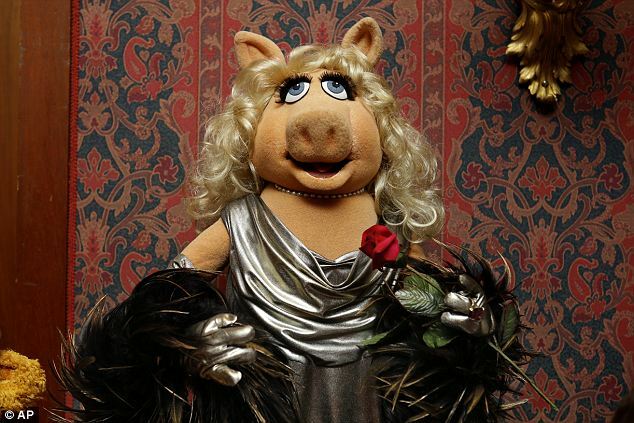 The museum will place Miss Piggy on view within the American Stories exhibition in March 2014. 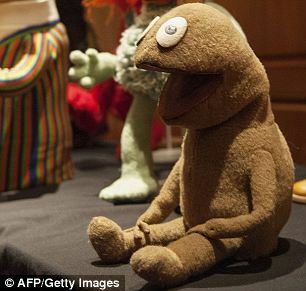 In addition, several of the puppets from the Jim Henson Collection—including the original Kermit, not yet a frog, and Cookie Monster—will go on view in November in a display case that will include marionettes, hand puppets and ventriloquist figures. So does that mean the entire collection as we see it in the pictures will not be on display, only several of them? Wow I must make a trip there! 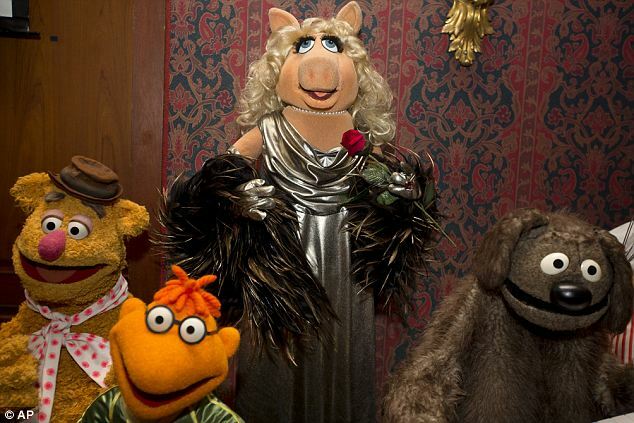 With all the creations throughout the years, the Muppets can fill a museum of their own. Everything looks wonderful. And of course the timing could not have been more perfect, especially with the announcement being on Jim's birthday and with the release of the Jim Henson biography. Now I know what to look forward to the next time I go to Washington D.C. I can only see 17 puppets on the table-J.P. Grosse,Wilkins,Cookie Monster,Miss Piggy, Elmo,Fozzie Bear,Grover,the Swedish Chef, Red Fraggle,Boober Fraggle,Travelling Matt Fraggle,Praire Dawn,The Count,Scooter,Rowlf,Ernie and Bert. I wonder who the other 4 are? They musnt be ready and need restoration. From the article, one must be a Skeksis. I hope one is Gonzo! I think this is a great way to honor Jim, and I really hope that this becomes a permanent part of the Smithsonian. I mean, why not? They already have Oscar the Grouch, Kermit and the entire "Sam and Friends" group. But, wow! 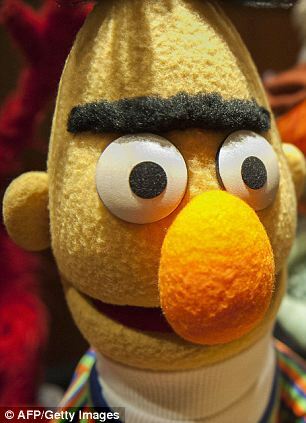 Some of these Muppets are actually really unexpected and obscure! I mean, J.P. Grosse and Scooter are finally reunited! How awesome is that? And the original Rowlf with piano to boot? Even better! Heck, even Ol' Fuzzyface himself got invited to the party!